January 6th is a holiday that marks the end of the twelve days of Christmas. It is also known in the Christian church as Feast of the Three Kings, Feast of the Magi, or Epiphany. This is the day when it was believed the three wise men arrived in Bethlehem to give gifts to the Christ child, thus beginning a tradition of gift giving at Christmas. Seems pretty sacred and special, right? Well, our medieval counterparts did not have much reverence about it. 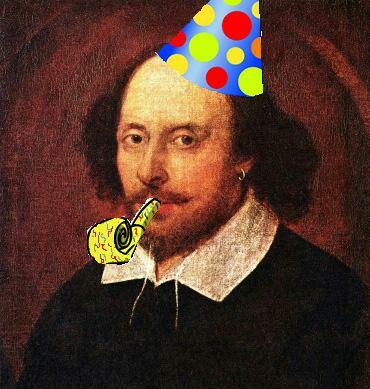 In Medieval and Tudor England, Twelfth Night was a night for the biggest, wildest party EVER! Everything was reversed on Twelfth Night. Traditions and formalities went out the window. Craziness and frivolity were acceptable behavior. The Lord of Misrule came to rule. Servants became masters and masters became servants. Kings became peasants and peasants became kings. Everything was put into a chaotic frenzy, accompanied by much drinking, dancing and general goofiness. Sounds like a good time, eh? It reminds me of what modern day folk do on New Year’s Eve, which just goes to show, we are never far from our ancestors. Shakespeare never missed a good commercial opportunity. He knew this time of revelry could and should be celebrated with plays! He went to work on an awesome comedy called ‘Twelfth Night’. The play itself is about wild ambitions coming true. There is mistaken identity, cross-dressing and role reversals. It all starts with a shipwreck, in which twins Viola and Sebastian are separated. Viola ends up on an island where she decides to disguise herself as a boy. She gets a job working for Duke Orsino, whom she falls in love with. Duke Orsino, however, is in love with the Countess Olivia. But when Orsino sends the cross-dressed Viola as his messenger to talk to Olivia, Olivia falls in love with Viola, thinking she is a young man. If that were not confusing enough, later on, Viola’s near identical twin Sebastian shows up and Olivia is really flustered. In the mean time, Olivia’s uncle, Sir Toby Belch, keeps things exciting with lots of drinking and debauchery. Written in around 1601, this play was presented as entertainment on Twelfth Night in the courts of Queen Elizabeth and King James. Sir Toby belches a lot, yes. The play’s official name, I should note, is actually ‘Twelfth Night, or What You Will’. Interesting choice of words. What. You. Will. It seems to indicate that on twelfth night, your wildest dreams and ambitions could come true, and the play is, indeed, about wild dreams and ambitions coming true. Twelfth Night, like many Christian holidays, is actually an offshoot of the Pagan feasts of Saturnalia and Yuletide. These feasts began around the 21st of December and lasted 12 days. Bonfires blazed and there was much merry-making in honor of the return of the Sun after its long winter absence. Rumor has it some debauchery took place too. A few people wearing horns maybe 🙂 The Oak King began his long reign of warmth and fertility, which would increase and peak at Beltane and Midsummer. Twelfth Night is therefore a time for imagining, for trying out new things, for being optimistic and setting high expectations. We have begun a brand new year, full of hope and possibility. We are given the opportunity to dream big! Some of us might need to take ourselves less seriously. The Lord of Misrule and Sir Toby Belch might even have a few lessons for us. So on this Twelfth Night I encourage you to let your hair down. Go crazy. 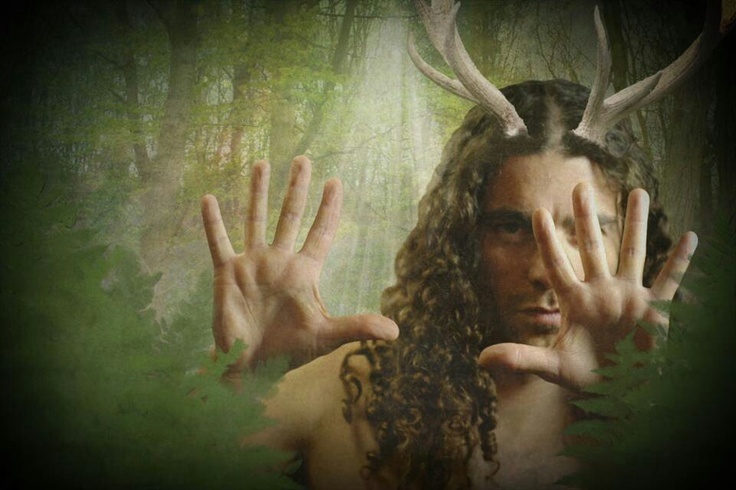 Connect with the horned god, show your inner animal! Experiment with role reversals. Wanna be something different? Go ahead. Tap in to your heart’s deepest desires. Remember, the Magi are magicians, and they give us their gifts — earth, fire, air, water, and all transformation. This entry was posted in Pagan, Shakespeare, Witches and tagged Green Man, New Year, Oak King, Shakespeare, Twelfth NIght, witch.